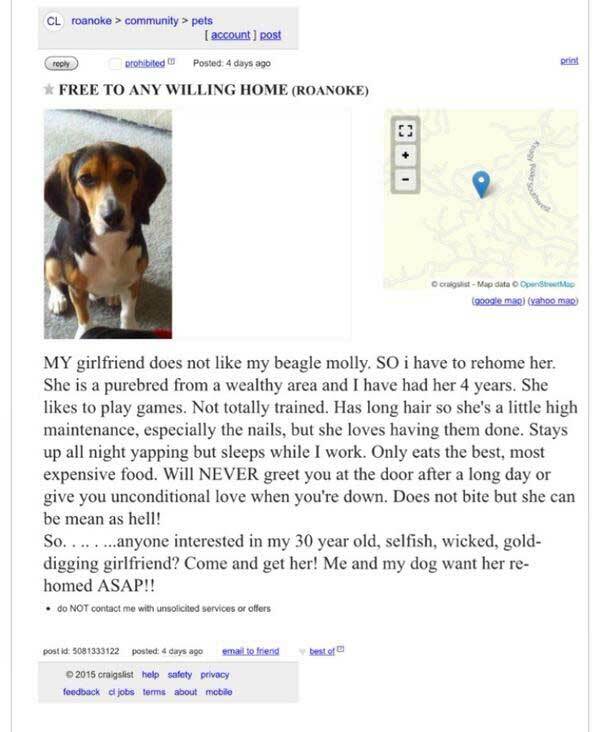 “FREE TO ANY WILLING HOME” is the title of an ad posted on Craigslist earlier this week by someone in Roanoke, Va.
“My girlfriend doesn’t like my beagle Molly, so I have to rehome her,” the ad begins — as the blood of all dog-loving readers begins to boil. By this point, most readers are really getting angry at the monster who posted this ad. But wait, there’s more! So what the heck is this story doing in the Awww category instead of Grr, where it belongs? Ha ha ha! 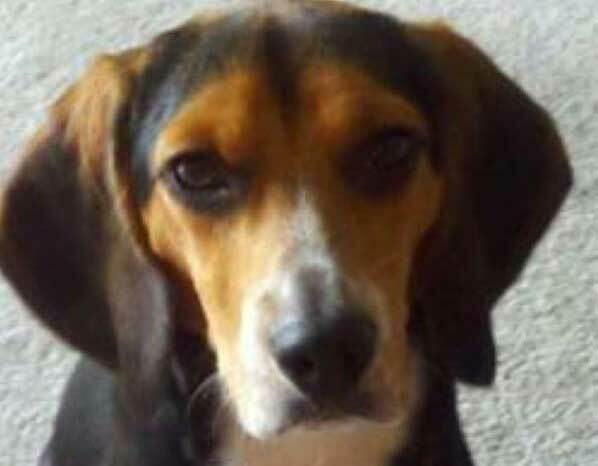 This dog lover’s Beagle isn’t going anywhere. It’s his girlfriend who’s getting the boot. This clever ad is deservedly going viral after it was posted on Reddit. So far its writer has not been identified, but for you dog-lovin’ single ladies in the Roanoke area, he sounds like a real catch.